The pyramid shape has an energy centre much like the energy centre in the human body called chakras. Pyramid Soul Meditation, also known as 'Soul Therapy', stimulates your chi, cleanses the chakras and promotes peace of mind. Down the ages, pyramids have inspired wonder and awe. In the word 'pyramid', pyra means fire, the universal life energy or cosmic force, and mid stands for middle. Scientists have focussed attention on this issue for the past century and experiments and testimonials affirm changes in the mental, physical and emotional states of individuals after exposure to pyramid vibrations. Exposure to these vibrations stimulates the body's natural electro-magnetic field. There is more vital energy contained within the geometric shape of a four-sided pyramid than in the air surrounding us. Pyramid Soul Meditation promotes cellular regeneration and memory and helps reverse environmental pollution caused by pylons, radiation, mobile phones, TV transmitters and dishes that can affect your health and well-being. 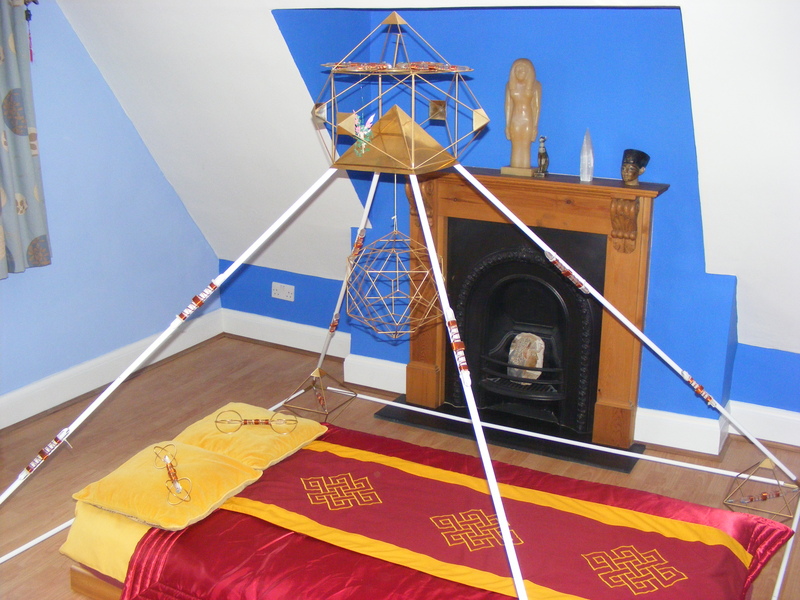 Meditating within the pyramid has an energising and cleansing effect on the aura. It gives you answers to questions, promotes peace of mind and alleviates stress, fatigue and headaches. You can experience this and much more by laying inside the pyramid with its combination of carefully selected crystals and magnets - take three long deep breaths, close your eyes and let your mind be open to a richer life from creative thoughts and feel life at a new level.